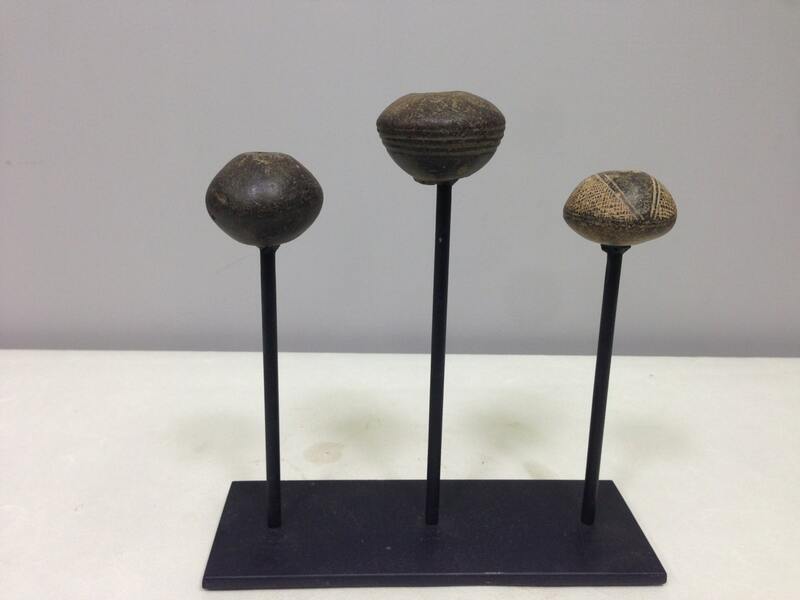 These are old African clay spindle whorl beads used as drop weights in spinning cotton from Ethiopia. 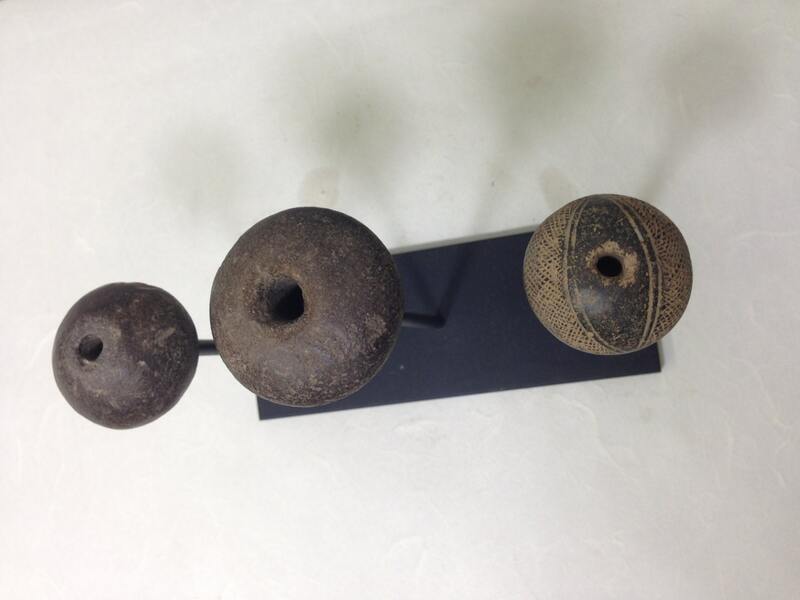 Often collected and strung as beads, these were originally spindle whorls used to spin thread. Whorls are a drum-like section on the lower part of a spindle in spinning or weaving machinery serving as a pulley for the tape drive that rotates the spindle. 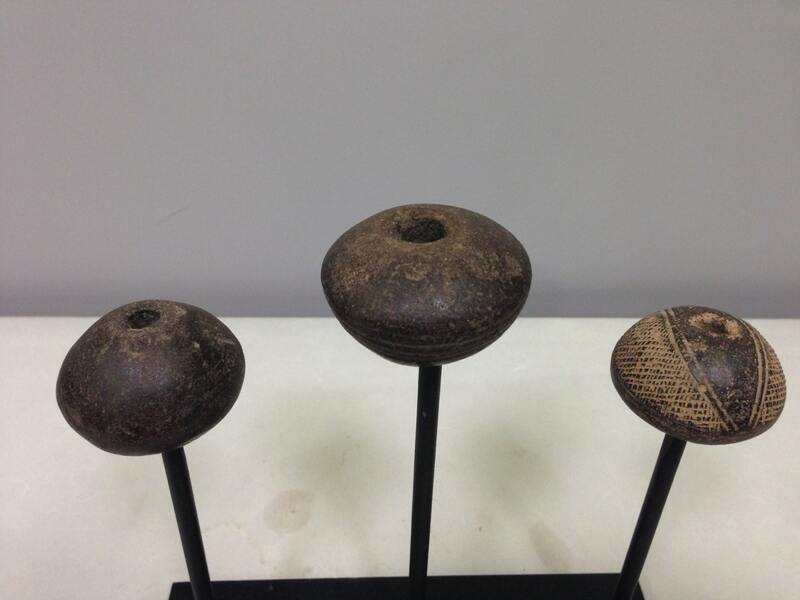 Clay spindle whorls have been used in the Niger and Bani River area of Africa since at least 1000 AD. Spindle Whorls have been used world-wide for thousands of years, originally as tools in the cotton spinning industry. 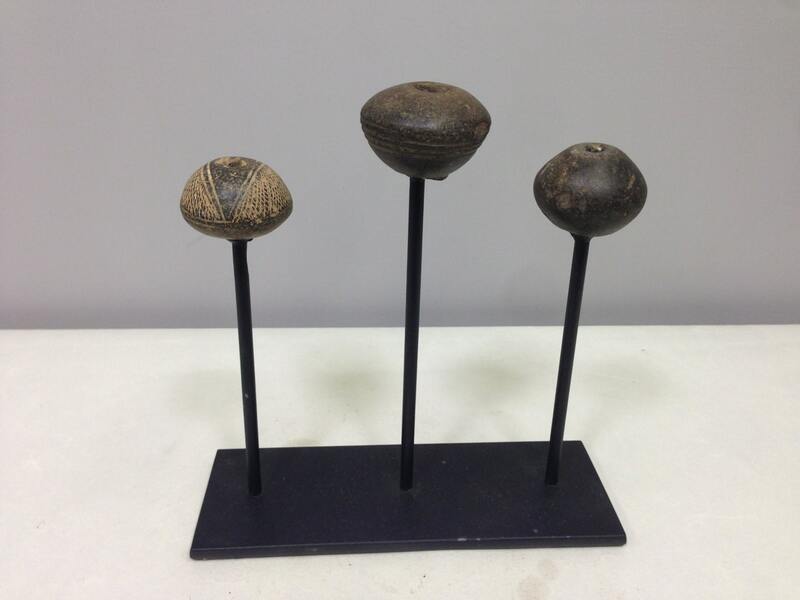 These are three beautiful spindle whorl beads displayed on a stand. Each bead is unique in the own style and design. This bead display would look beautiful in your home or unique in your collection.